This guy can be picky. Let the games begin. This week I discuss a dozen tips for taking difficult risers. 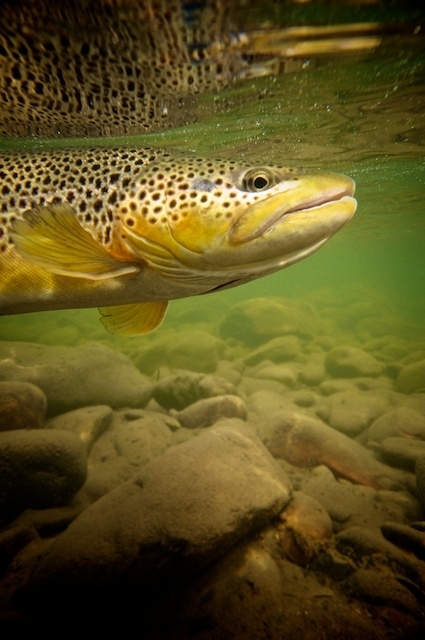 We’re not always fortunate to find consistently rising fish, but when we do it’s a chess match that can be the most fascinating aspect of trout fishing. There are many tips to finally fooling a difficult riser, and surprisingly few of them involve choosing the correct fly. We also have Fly Box short items on some questions that came up from listeners regarding last week’s podcast on small stream fishing. And by popular demand, we’ll continue our sections on great fly-fishing books and cool products you might have missed.